Meet Anger. He is the voice in your head that feels very passionately about making sure things are fair for you. He has a fiery spirit and tends to explode (literally) when things don't go as planned. Fans will be delighted to hear that this Pixar classic is joining the Disney Showcase collection. 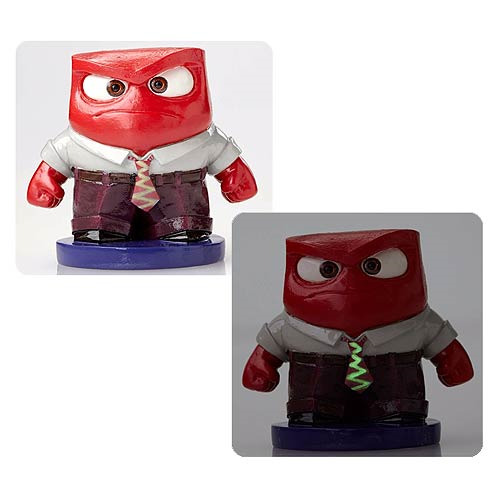 Boasting a unique glow-in-the-dark feature, the Disney Showcase Inside Out Anger Statue is made of stone resin and measures approximately 2 1/4-inches tall x 2 1/2-inches wide x 1 3/4-inches long.